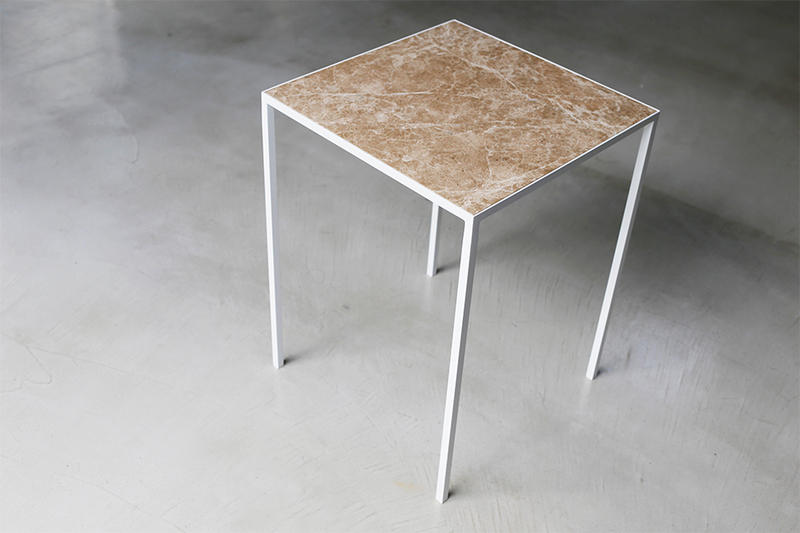 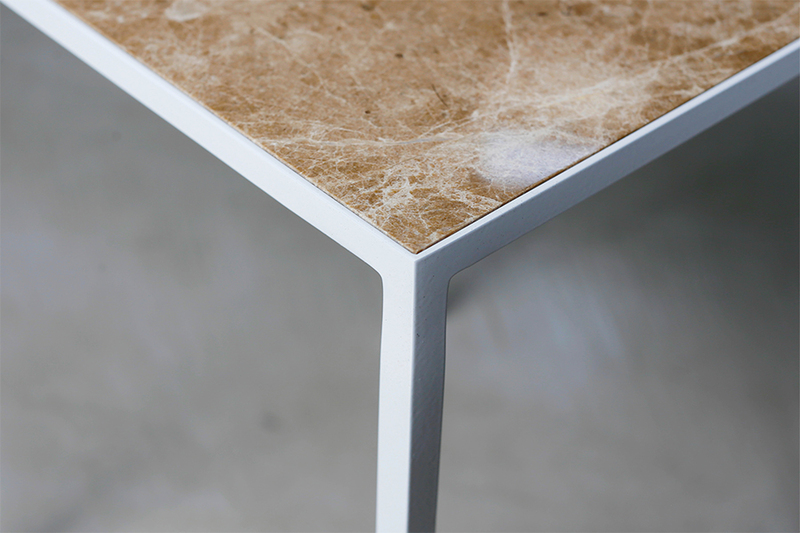 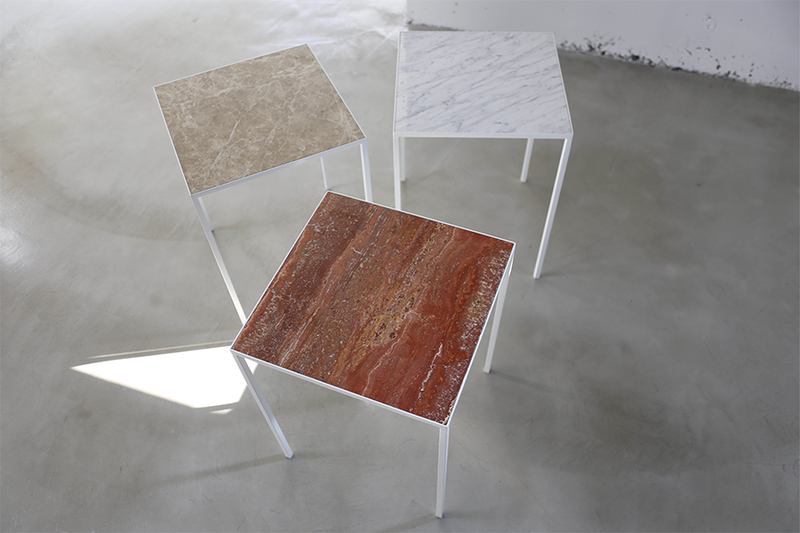 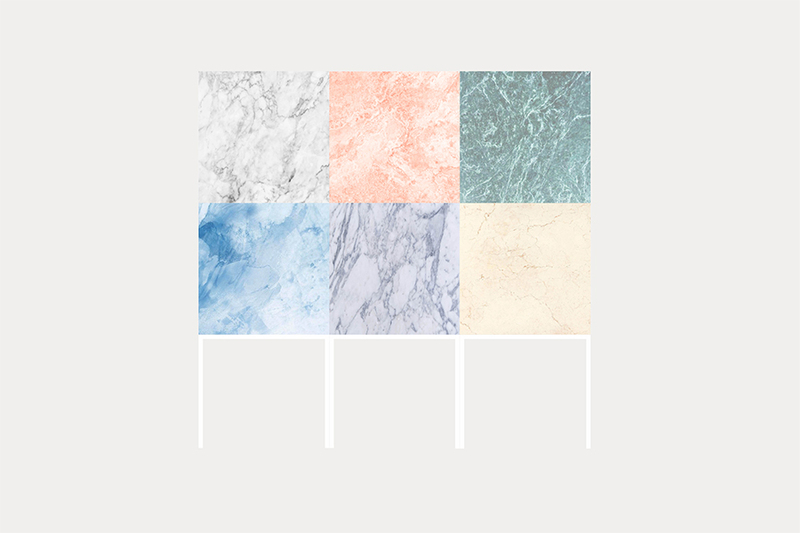 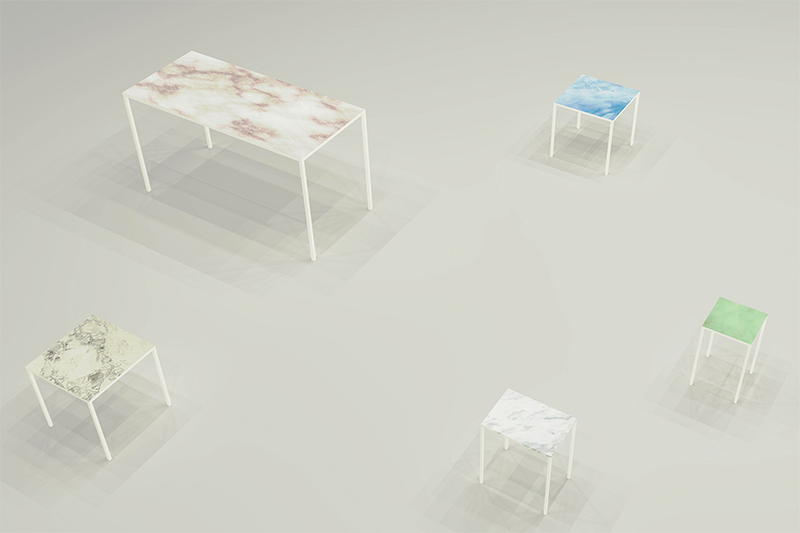 The marble series are the furniture designed for the hair salon Six. 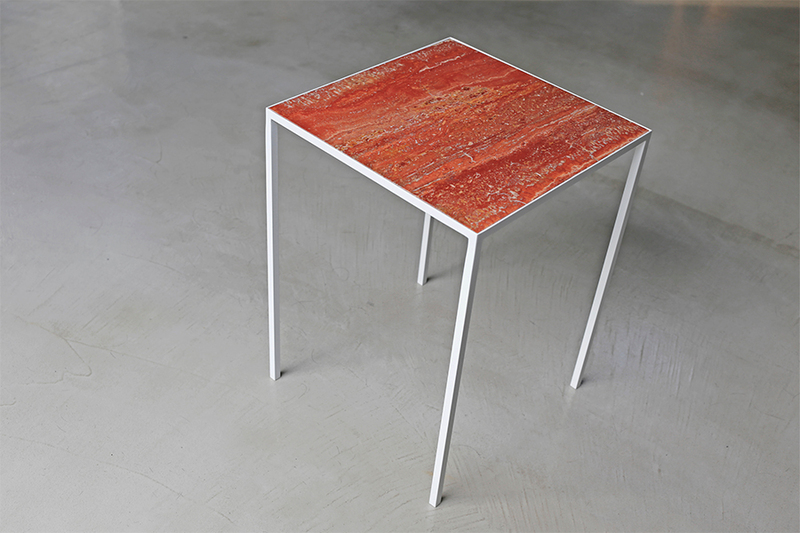 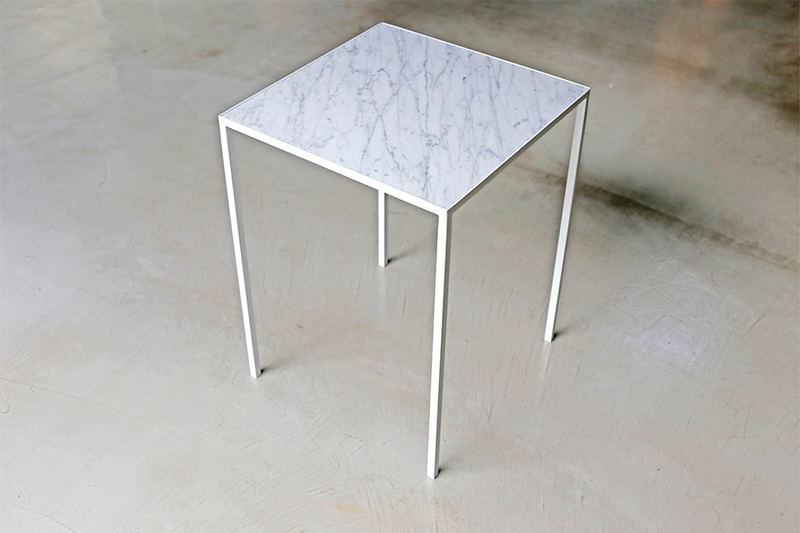 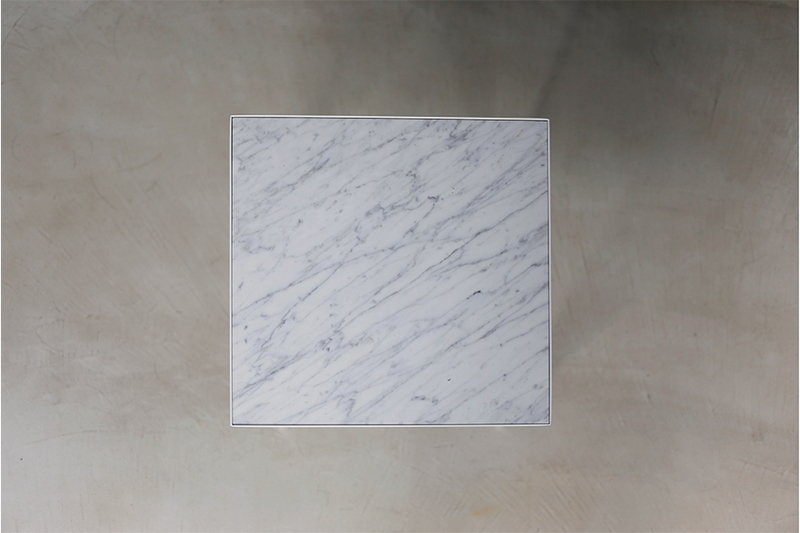 The top is marble which is imagined as a colorful make tool and the base is steel which is pursued lightness. 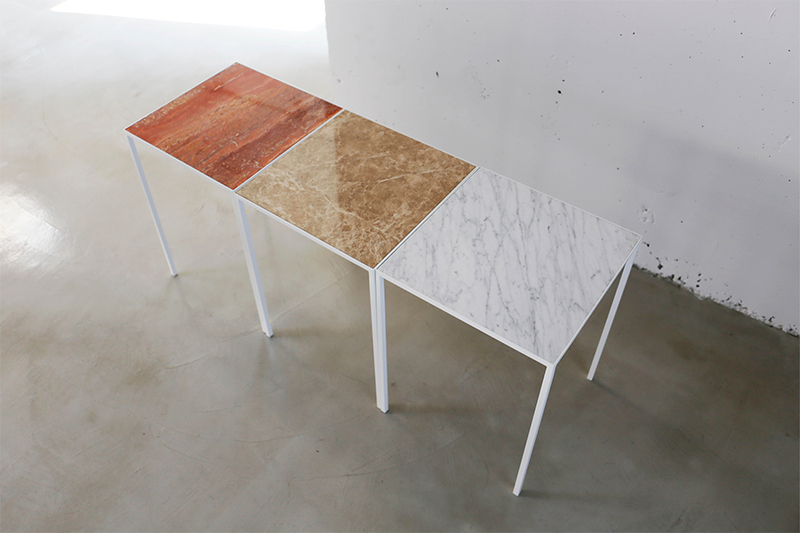 The tables connect each other and can be combined like color palette of the make tool.